My laptop is finally back in working order, after ten days and a hard drive-sized hole in my wallet. Which means we’re now back in business, with a lot to catch up on. And my apologies in advance if I don’t you credit you for something you may have sent me. I’ve tried to keep track of who sent me stories while my computer was down, but may have lost a few along the way. The war on bikes goes on. And on. 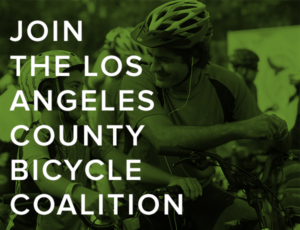 In a must read, LA’s Peter Flax has authored a very hard-hitting piece about the dangers people face on the streets simply for riding a bicycle. 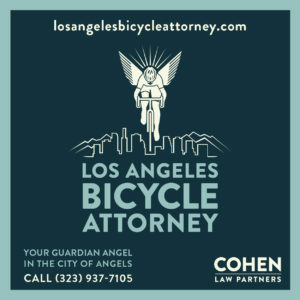 Like it or not, cyclists are engaged in a civil-rights battle — about whether we deserve a truly safe place on the road, whether people who kill us with cars should face the same legal consequences as people who kill with other weapons, whether hundreds of human lives represent acceptable collateral damage in a properly lubricated car-focused economy. I love riding fondos and ogling handbuilt frames, but there is actual blood in the street and people need to decide where they stand. You have to decide where you stand. Someone has been sabotaging a new Portland mountain bike park, stringing dangerous trip lines across the trails. Thanks to Jeff Vaugh for the heads-up. Colorado police are investigating after several nails and screws were scattered across the roadway along the route of a popular charity ride. Australian police are looking for a suspect who may be responsible for tossing hundreds of tacks on a popular bicycling route for the last two years. 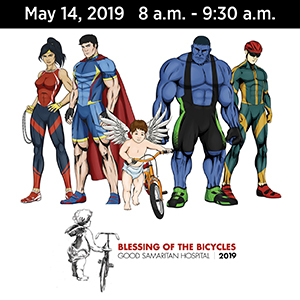 An Aussie writer says bicyclists who believe we have to earn the respect of drivers on roadways dominated by motor vehicles are suffering from the Lycra equivalent of Stockholm syndrome. Speaking of catching up, here are just a few of the more important stories we missed. In one of the best stories of the week, members of the Low Riders bike club built a new food cart for the Hollywood vendor whose cart was overturned by an angry man. Keep your eyes open for a number of nearly identical hot bikes hitting the market, after 40 bicycles worth $50,000 were stolen from a Washington high school program to promote diversity and help get low income kids on bikes. Thanks to Mike Wilkinson for the link. An Idaho writer tells drivers and bicyclists to shut up already, while he explains what the state’s bike laws really are, including the Idaho stop law. Meanwhile, a writer for the Washington Post says maybe the Idaho stop should be legalized in DC to keep drivers from losing their minds over something that’s probably safer for bicyclists. A Kansas man is accused of jumping the curb with his truck to intentionally run down a man riding his bike on the sidewalk after a dispute at a soup kitchen. Thanks again to Jeff Vaughn. Patrick Lynch forwards news that Corpus Christi TX police reminded both adults and kids to ride in the street after a 12-year boy was hit by a car while riding on the sidewalk. Even though, as he notes, the kid was hit on a four-lane virtual highway with a 45 mph speed limit and a substandard gutter-bike lane. And I’m sure no Texan would ever speed on a wide-open road like that, right? Bikeshare helped people in Houston get around after Hurricane Harvey. Meanwhile, a Houston bicyclist was struck by a car while trying to cross a busy freeway, which raises questions of whether alternative routes were still damaged due to the hurricane. Thanks to Bryan Dotson for the tip. A New York woman was critically injured when a drunk driver plowed into a group of bicyclists stopped at a red light during a century ride; the riders said it looked like he accelerated into the group intentionally after crashing into a parked minivan. The 76-year old owner of a Delaware TV station was killed in a collision while riding his bicycle. Thanks again to Jeff Vaughn. The Washington Post reports that bicycling to work means better health and a longer life. A British Columbia lawyer who specializes in getting dangerous drivers off the hook says “arrogant cyclists” seldom obey the laws governing bicycling, and drivers should take pictures of their scofflaw behavior and report them to the police. And yet he somehow fails to see any hint of a double standard there. If everything went according to plan, Scottish cyclist Mark Beaumont will have set the new record for riding around the world by the time you read this, arriving in Paris in just 79 days — one day ahead of schedule. Something many cyclists can relate to, as Tour de France and Vuelta winner Chris Froome says he hates looking in the mirror because he looks ridiculous with his massive legs and tiny chest. 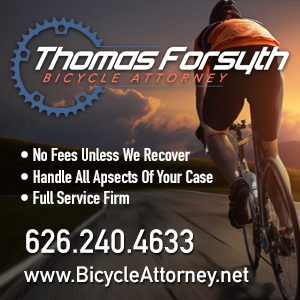 A pair of teenagers took the top prizes in the Wolfpack Hustle Forsyth Cup, presented by BikinginLA sponsor Thomas Forsyth. The Mar Vista Community Council cited parliamentary rules in delaying a revote on the Venice Blvd Great Streets project, despite several motions calling on the city to restore the street to its original dangerous configuration — much to the frustration of a passionate and apparently evenly split crowd. Glendale Assemblywoman Laura Friedman has secured $20 million in state funding to complete the final phase of the Glendale Narrows Riverwalk, one of three bike and pedestrian bridges planned for the LA River. Long Beach considers a 40-year plan to increase density near the Los Cerritos Wetlands and Alamitos Bay, including new bike lanes, mid-block crossing and widened sidewalks to create a balance between vehicular traffic and alternative transportation. Around 100 women and men turned out for a ride designed to get more women on their bikes in Imperial Beach. A 68-year old Palo Alto woman had her purse stolen from her bike when she stopped to talk with a group of teenagers who were blocking the bike path she was riding on. Drivers are running over the flex posts marking what passes for protected bike lanes in Oakland. Which should come as no surprise to anyone here in Los Angeles. Once again, Burning Man attendees abandoned somewhere between 3,000 and 4,000 bicycles in the Nevada desert, which will be turned over charitable groups to salvage what they can to donate to people in need. A San Antonio TX bike rider was stabbed by an angry pedestrian after bumping into him on the sidewalk. Thanks to Steve Katz for the heads-up. Clip-in pedals are technically banned in Kansas because they lack front and rear reflectors; state legislators promise to reconsider the requirement. California requires a reflector on the pedal, shoe or ankle visible for 200 feet from the front and rear. A pair of Gold Star parents completed a ride across the US at New York’s Ground Zero to honor families who had lost sons and daughters in the military. A new proposal would create a 1,650 mile biking, hiking and walking trail connecting New York, New Jersey and Connecticut. The Department of DIY strikes again, as Philly bike advocates replace missing plastic bollards on a protected bike lane with toilet plungers, which were still there 24 hours later. Baltimore has temporarily shut down its bikeshare system to tighten security after losing too many bicycles to theft and vandalism. North Carolina’s LimeBike has brought dockless bikeshare to eight communities across the US, including SoCal’s Imperial Beach, with plans to expand to dozens more; needless to say, not everyone in IB is thrilled. If you’re going to take part in a New Orleans area charity ride, don’t leave your Corgi at home. Note to Times-Picayune: not all mass bike rides are races. And if your headline is about dogs, don’t illustrate it with a photo of meat on the grill. Seriously. A Key West bike shop turned its phone over to victims of Hurricane Irma to let relatives know they were okay. London’s Evening Standard goes for a ride in a cycling team car. And presumably didn’t hit anyone. The paper offers a beginner’s guide to biking to work in the big city. They call bicycling the “miracle pill” that could save Britain’s National Health Service. They list their writers’ favorite rides stretching from Rio to Cornwall, to add to your bike bucket list. Readers around the world discuss their own bike hacks, from a hand-painted frame to adding a DIY gas engine. And the paper says justice isn’t found in headlines, arguing that an extreme, and extremely rare, case of a bicyclist killing a pedestrian is a poor basis to change the law. UK cycling organizations call for opening up more trails in Wales for bicycling, where bikes are currently banned on 79% of the trail network. Inspired by his grandson, a British engineer is spending his retirement building a bike brand and making a new foldie ebike. A Brit junkman reclaims trashed bicycles, and remakes them into kids custom-built tricycles, cruisers and three-wheel choppers. Current or former students are suspected in the theft of 20 bicycles worth $10,000 from a New Zealand high school. Always carry a bicycle in your truck in case you need to pedal away from a crash. Now you can use a single app for bikeshare and carshare, as long as you’re willing to move to Germany. And you don’t have to be a rocket scientist to ride a bike. But seriously, why wouldn’t you? Thanks to Megan Lynch for that final link. To kill someone when exiting a gas station has little to do with not seeing them. The dangerous road would not of been safer. The boy was traveling at a runner speed a runner has less ability to evade being hit, not more. A runner can face traffic and might seek and fail to obtain attention from the driveway. Driveway does not have right of way over crosswalk even if yielding to a crawl is not required before entering road. The driveway needs a stopsign. Flax’s piece is self-indulgent whining. Like me, he rides his road bike down Wilshire because its fun and cool to ride a bike. It’s also more dangerous than taking a car to his home near the beach. For him to piously paint his lifestyle choice as a civil rights struggle is so absurd and historically ignorant. I don’t know anything about Peter Flax’s lifestyle or whether he lives at the beach, but when he says bicyclists “…are engaged in a civil-rights battle”, he has a point. First, the vast majority of bicyclists don’t wear spandex or ride pricey bikes. Instead, they ride cheap bikes to and from work, school or the store, because they can’t afford a car. They are honest, hard-working people, but their transportation needs are marginalized by our auto-centric society to the point that they are forced to ride in dangerous conditions because they’re poor. That’s a civil-rights issue. Second, bicyclists of all types are being attacked with cars, trucks, bats, trip-wires, nails and more just they’re riding a bike. Far too often their attackers, if prosecuted at all, are given sentences that amount to nothing more than a slap on the wrist. If people were being attacked just because of their ethnicity, and their attackers were not being fully-prosecuted, it would be a civil-rights issue. Well, bicyclists are being attacked just because they’re on a bike, and that makes it a civil-rights issue.